I’ve reviewed Hot Pockets a couple of times before, and there’s not a lot of new stuff to say regarding the general concept. They’re pastry-style things filled with meats, cheeses, and (if you’re lucky) sauces or veggies. Their output varies from time to time, with some limited edition flavors, but generally it all comes back to one or two stalwarts. And two of the stalwarts are Meatball and Cheese and Pepperoni Pizza. Some days you’re writing grand odes to bacon and barbeque sauce, and some days you just gotta dash off one about Hot Pockets. I’m reviewing these two together because they follow the same basic pattern: processed Italian meats and Mozzarella cheese. They’re not fantastic by any means, but it’s decent quality meat and cheese for the price. The Pepperoni fares a little bit better for a couple of reasons. One, the inclusion of pizza sauce makes it taste a little bit more complete. But two, and I can’t believe I’m saying this, but the meatballs aren’t quite as spicy as they should be. I’m never a proponent of spice for spiciness’s sake (Buffalo sauce is the worst), but without a hint of some peppers or herbs, the meatballs are somewhat bland. Not inedible by any means, just mediocre. But the key to Hot Pockets, the whole draw of them, is that they’re cheap and easy and quick. They’re one step up from Tornados on the effort scale. 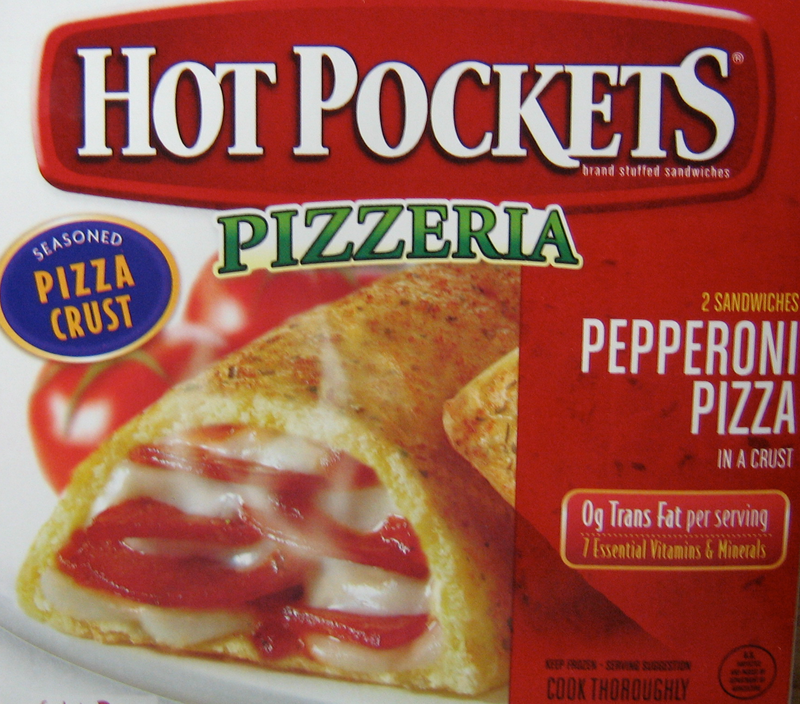 Hot Pockets run for about $3 for a pack of two, and are cheaper in bulk. They’re no one’s dream sandwich, to be sure. But sometimes you’re cheap, lazy, or just in a hurry, and then, my friend, Hot Pockets are the sandwich for you. Like the leads from The Five-Year Engagement, Santorini Island Grill is a slick California operation which has made the trip out to the frozen tundras of Michigan (Kalamazoo, to be precise). Although their usual setup seems to be sit-down Greek restaurants, the specific location I’m reviewing is located in the basement of the student center on Western Michigan University’s campus, and is more of a fast food-style setup. Let’s see how well it works! Pretty well, overall! Santorini offers a number of Greek entrees, but I decided to focus mainly on their gyro. After all, a Greek restaurant isn’t worth its salt if they can’t put together a halfway decent gyro. Thankfully, Santorini was up to the task. Their gyro meat is sliced fresh to order, and they make their tzatiki sauce in-house. The veggies and pitas are kept fresh as well, and the portions, which not gargantuan, are filling. Santorini also offers burger, burritos, and breakfast scrambles. These entrees are hodgepodges of various and sundry ingredients, everything from gyro meat to guacamole to bacon to a home-made hot sauce. I’ve tried a couple of their burritos (the Greek, which involves gyro meat and feta cheese, and the California, which is chicken and bacon, specifically), and they’re fantastic as well. I love the fusion cuisine that comes from necessity, and these are great examples of that. I haven’t tried their Greek burger yet (a beef patty topped with gyro meat), but I hope to soon. 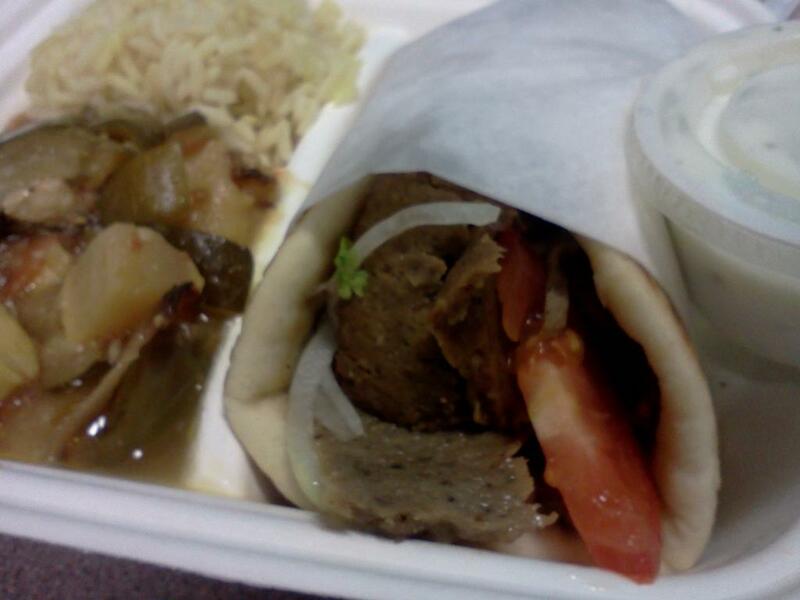 Overall, Santorini Island Grill is a great choice for quick, tasty Greek food if you’re on WMU’s campus. Meals come with french fries or a side salad and a drink, and most run for about six and a half dollars. It’s definitely worth a trip out even if you’re not right on campus, and here’s hoping it sticks around for a while, although judging by the lines I’ve seen when I’ve been there, that won’t be a problem. For better or worse, the “wretched excess” theme of fast food sandwiches that seemed to define the past couple of years has died down. Rarely are there viral news stories of sandwiches which eschew bread and vegetables for fried eggs and bacon. The combination of an increased focus on health-consciousness and the rise of coffee shop-style beverages has chased the more extreme offenders from the field. But Wendy’s, the second largest burger chain in the world, persists. Their Baconator is a Ron Swansonesque conglomeration of meats, mayo and cheese. It’s available in single, double, and triple patty sizes, but let’s be honest, you’re not going to go to Wendy’s and order a sandwich called “The Baconator” and only get a single, or double, right? Remember the old saying about too much of a good thing being bad? Here, it’s not so much bad as it is disappointing. 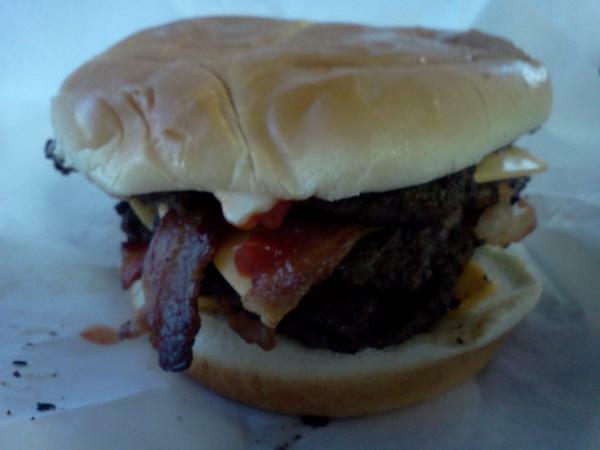 The Baconator is beef, bacon, American cheese, mayo and ketchup on a bun. Getting the larger sizes means they just stack another layer of the ingredients on top. All the ingredients are fine by themselves, but so much beef and bacon without any strong sauces or vegetables to add some variety gets monotonous real fast. I understand that that’s kind of the point of the whole thing, but couldn’t we have some “manly” vegetables? Surely grilled onions or peppers wouldn’t have been too out of place here? Sliders Burgers and Belgian Fries is recent addition to a strip mall just outside of Western Michigan University’s campus in Kalamazoo. It’s apparently the second store the company has opened, with the other also in a college town. Sliders is part of a growing trend of “classic” burger joints with a cleaner, healthier environment, like The Real Deal or Five Guys. What sets them apart, obviously, is their focus on smaller slider burgers. I posted some thoughts on the merit of sliders back in the stone age. Let’s see if my feelings toward them have changed! What is the impossible secret of this rainbow of tiny cups of sauces? Read on, true believer!! The sliders here are actually larger than I expected. A slider combo comes with two of them, dressed with a selection of free toppings like lettuce, tomato, onions, pickles and Ketchup. Cheeses, bacon and Jalapenos can be added for an extra fee. I decided on pickles and caramelized onions, which came together pretty well. The sliders were well-made, generous in size for smaller sandwiches but not so large as to be filling by themselves.They were good, but a little monotonous. Sliders also prides themselves on their Belgian Fries, a kind of double fried steak fries served with course-grain salt. I know that fries are a little outside this blog’s purview, but go with me on this. The fries themselves are fine, but the real draw is that Sliders has a wide selection of dipping sauces to try, with special rotating menus. This is literally the restaurant idea I came up with as a kid and have always dreamed of. I’d be mad that someone stole my dream, but realistically I was never going to do it, and at least now people can enjoy it. The sauces are great, especially a Rosemary Garlic sauce that tastes almost Middle Eastern and a sweet, spicy barbeque sauce reminiscent of McDonald’s BBQ sauce in the early 90’s. (I realize this last sentence is probably the most stupidly pretentious thing I’ve ever written, but I have very specific memories of what BBQ sauce tasted like a Mickey D’s when I was six.) 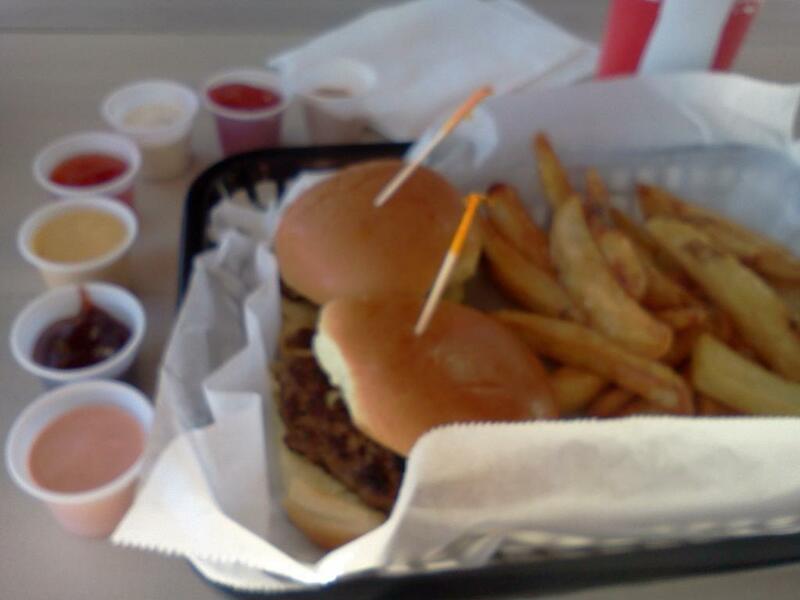 Anyway, the point is that adding these sauces to the sliders really helps to set them apart and kick them up a notch. I’d highly recommend doing so. I only had one other issue. It’s not the kind of thing I go into very often in these reviews, but I felt like the service was a little lackluster. It took about 12-15 minutes for me to receive my two small burgers and side order of fries. There were a couple other orders being made at the same time, but there were also four people in the kitchen. When my meal arrived, the employee didn’t apologize for the delay. I’m not one of those assholes who demands everything be perfect, but the problem is that I don’t think that 15 minutes is an excessively long wait there. That really throws a wrench in the kind of recommendation I can give a fast food restaurant. Overall, Sliders was good, but not great. There were some definite highlights, and I’m planning on going back to see if my wait time was an isolated incident, but it’s not one I would put on my short list. Still, if you like sliders, or you want to see one of my childhood fantasies come to life, it’s worth checking out, at least once.